The needs of small businesses are constantly growing and changing, especially those with “seasonal” businesses. We pride ourselves on supporting all types of businesses, and we particularly understand the challenges that come with operating a seasonal business. SOI’s serviced offices a perfect temporary solution for businesses which experience peak and troughs. Just like your workload or team, the physical working space of a seasonal business continues to grow and change. With a serviced office, there’s no more wasting time and money on breaking your current lease to move into bigger premises when you only need the extra space temporarily. Is Your Business A “Seasonal” Business? Whilst some business are quite obviously a seasonal business (like a Christmas decoration supplier), other businesses may be harder to spot. It could be argued that tax accountants have a seasonal business which peaks right around tax time. Or perhaps you’re an insurance broker that always seems to have increased workload around April 1st, when health insurance premiums seem to rise. Other seasonal businesses might be training providers which operate on a “semester” or “term” basis. Regardless of your industry or the structure of your business, having a seasonal business makes it difficult to find workspaces which work for you. Why Use A Serviced Office On A Temporary Basis? During those peak periods, your business might require more space, in the form of a temporary serviced office. With this solution, there’s no need to increase your commercial lease or pay for space all year round that you’re only utilising a few months a year. Or, perhaps your business offers training and workshop style services. 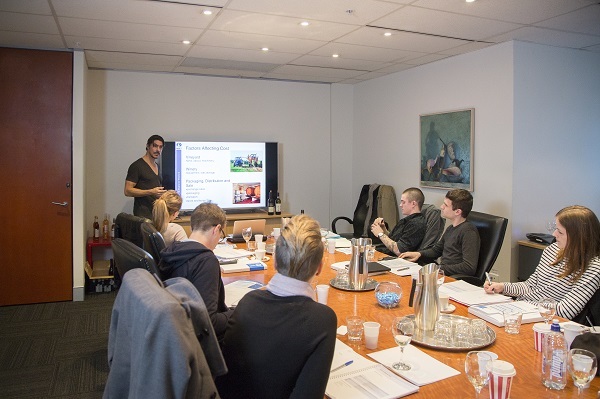 Whilst we actually have specific rooms that are set up for training and workshops, a serviced office would allow you to work on-site during these times. We have the option of month-to-month leases, making a serviced office the perfect solution for your business. And what a great way to help your business keep its cost down and save time by just hiring the space you need? You have the ability to have a reception team to answer all your incoming calls and representing you as if they are your dedicated receptionist. At SOI we want to make your working day as easy as possible. We take pride in supplying the lightning-fast internet and enterprise level technology to meet your needs. No matter if you are using our serviced office space on a temporary or more permanent basis. Just arrive with your computer, plugin and away you go. You also don’t need to go to the trouble or time of finding other premises temporarily. Short term leases are quite often difficult to find as landlords prioritise the long-term leases. What Else Do Seasonal Businesses Need to Thrive? To Move Into a Serviced Office or Not? If you work from home you know this work situation might sound alluring, but may be counterproductive to your seasonal business. If you have young children at home, don’t have a designated workspace or don’t have the facilities you need, you can lose hours in lost productivity. That elusive work life balance can always be a struggle. Sometimes just a short-term serviced office lease to see you through a particularly hectic time can be exactly what you need. A change is as good as a holiday, so they say. Then there’s the business development to consider. Rather than working in your business would you like to work on it for a change? Using a serviced office for short term periods can be refreshing and hone your focus. Getting outside of your normal space can also get you outside of your head and give you the ability to look at things from a different perspective. As a client of SOI, we have many networking events you can attend to get to know the other occupants of our serviced offices. Or why not catch up with your colleagues in our complimentary kitchen or relaxing break out areas. You just never know where you might find that next client or referral! Is a Temporary Serviced Office or Permanent Solution for You? Are you not sure whether you want to utilise our serviced offices temporarily or permanently? Why not contact us to discuss? We can arrange for you to come in and view our offices in person. 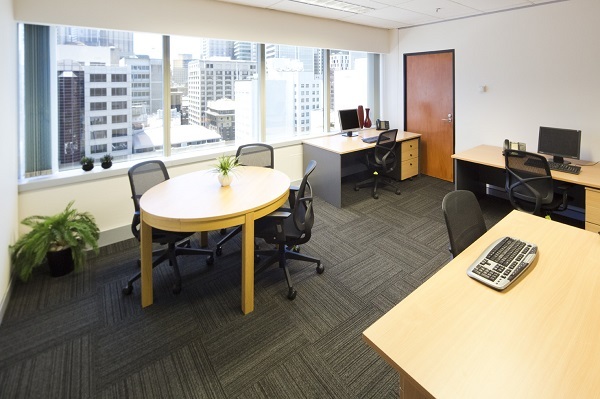 With modern, spacious and private offices, some with views overlooking Darling Harbour, what more could you want? Plus, our serviced offices can be accessed 24 hours a day 7 days a week! Work when it suits you around your personal and family commitments. To find out more about SOI’s serviced offices please contact our friendly team to discuss a solution for your business.